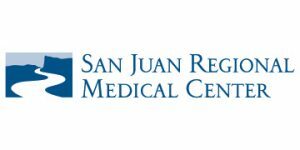 Located in the beautiful San Juan River Valley in northwest New Mexico, San Juan Regional Medical Center (SJRMC) is a 194-bed level III trauma center including state-of-the-art operating suites and 72 private patient rooms with fresh air balconies. 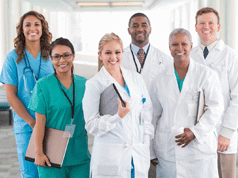 As a non-profit community-owned hospital, SJRMC supports patients and families in the Four Corners region of New Mexico, Arizona, Colorado and Utah. The organization offers a continuum of care that includes a regional cancer center; spine center; heart center; rehabilitation hospital; outpatient diagnostic center; onsite daycare facility; hospital-owned AirCare air-ambulance service; and all the San Juan Health Partners specialty clinics. 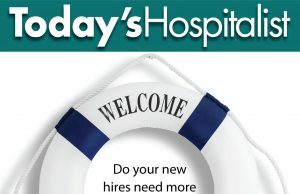 Schedule and coverage: Hospitalists work a hybrid schedule. • $275,000-$295,000 base salary plus productivity and quality bonuses.  Lucrative benefits package, including retirement. • Sign-on and relocation package. Local highlights: Farmington offers a temperate four-season climate near the Rocky Mountains with world-class snow skiing, fly fishing, golf, hiking and water sports. Easy access to world renowned Santa Fe Opera, cultural sites, national parks and monuments. Farmington’s strong sense of community and vibrant Southwest culture make it a great place to pursue work-life balance.